Our Locanda, with a garage and bike repair corner, is the ideal accomodation for them and for their beloved bicycles. Of all European countries, none draws bicycle tourists over and over again like Italy. Each region has its unique charm and can boast the highest number of UNESCO World Heritage Sites in the world. In Lombardy cyclists especially love the diversity Vigevano has to offer, beautiful terrain and mild climate charming culture and tasty cuisine. Located in a half-way point between the cities of Novara, Pavia and Milan. Geographical and historical situated in a flatland area called, Lomellina, land of castles and rice fields, within the Ticino natural park. Vigevano is a hidden gem that reveals little-known treasures such as the Piazza Ducale, one of the most beautiful squares in Italy, and Castello Sforzesco, one of the largest city castles in Europe. Since our opening in 2013, we have experienced a growing number of guests choosing Locanda San Bernardo as their favourite bicycle tour accommodation stop through our region. From the novice to expert, riding the basic to the most sophisticated bicycle, they all share the same love for their cycling equipment. And we are very dedicated to winning their hearts by providing the ultimate accommodations for the passionate cyclist. We pamper your bikes so you can sleep like a baby. 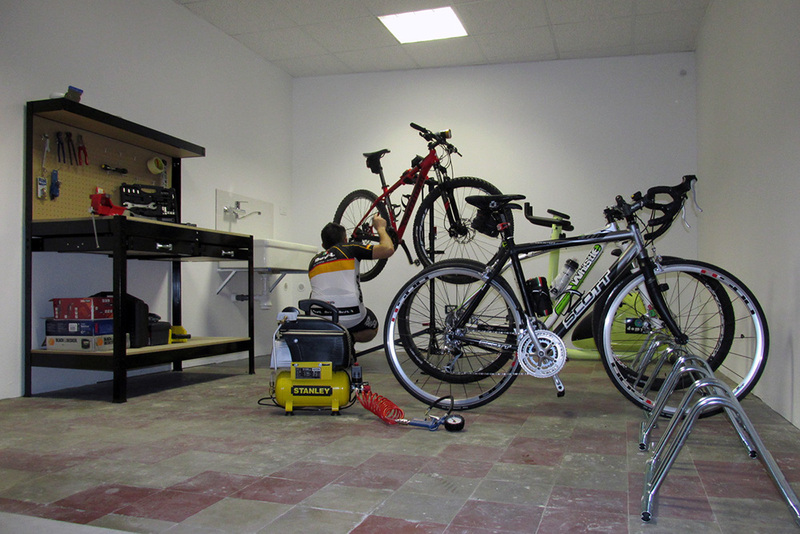 A secure garage/workshop is now available to park your bicycles. 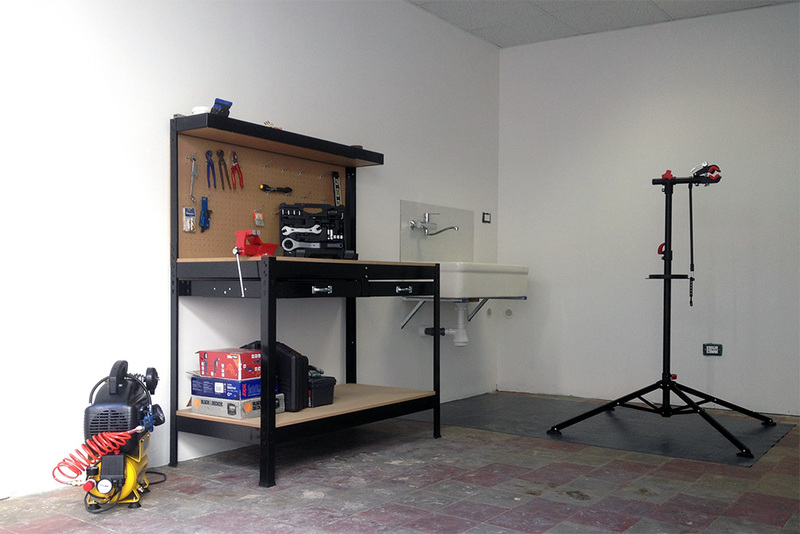 Our workshop is equipped with many items you may need to tune up your bike and prepare it for the next day’s trip. 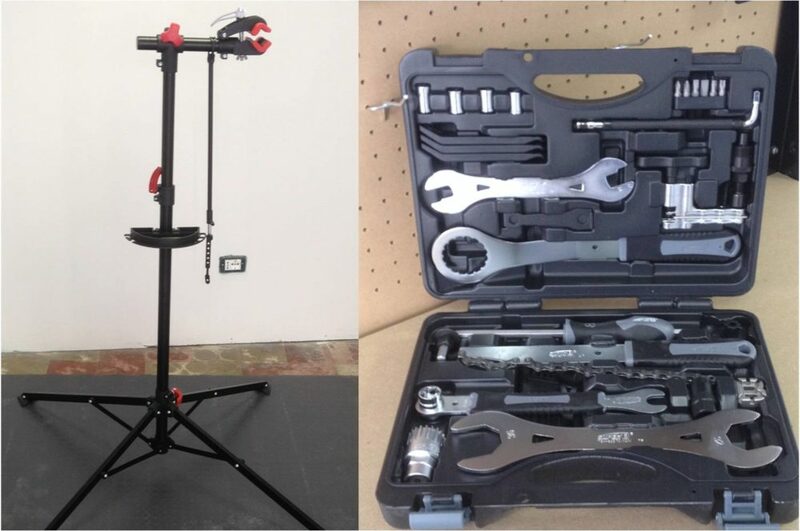 Included are: a hot and cold water sink; a bicycle work stand; a workbench with a set of specific tools for small repairs and a compressor to tweak tyre pressure. Click on the green pins to visit the relative official page (in Italian) showing a detailed layout, a short description and a link to download the GPS track for your navigation device. Need a bicycle to adventure into the River Park? Not a problem. Contact us and we’ll help you, your family or your friends to rent a bike to spend a few hours or a full day cycling across the Park.